With ripe apricots lying under the trees, it was evident that all my efforts with the fruit-fly bait stations were not completely successful. It was clear that we would have to preserve the apricots if we wanted to rescue some of this year‘s crop. With Saturday dedicated to the bottling of olives, we only had Sunday to devote to the apricots. 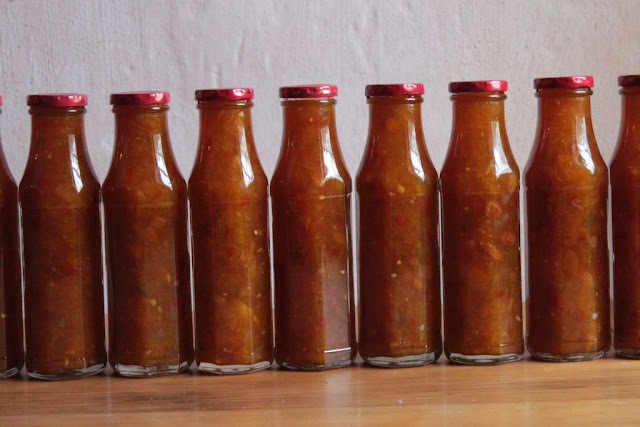 We do not use a lot of apricot jam and decided instead to make apricot chutney. 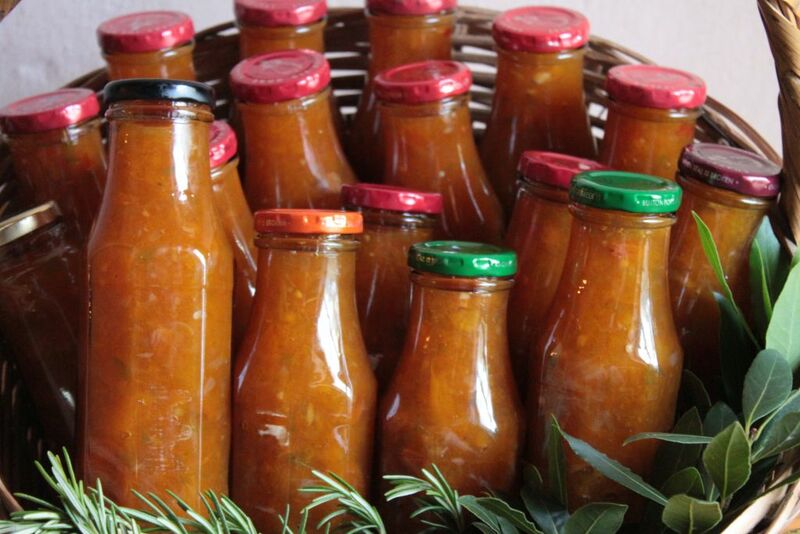 Apricot chutney is more versatile. 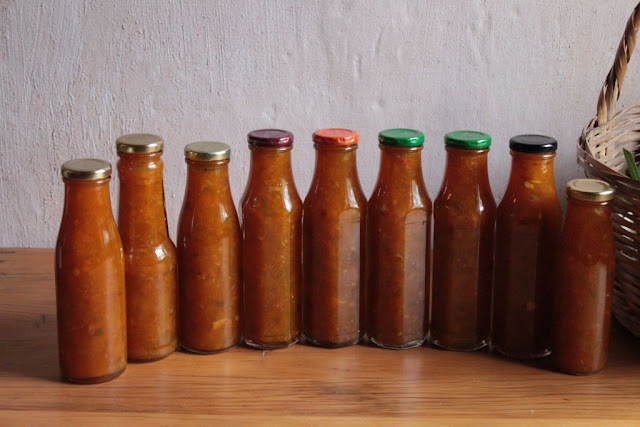 It can be enjoyed with curries, on braaied (BBQ) snoek, in stews and roast chicken to name a few. It also makes a great marinade for meat. 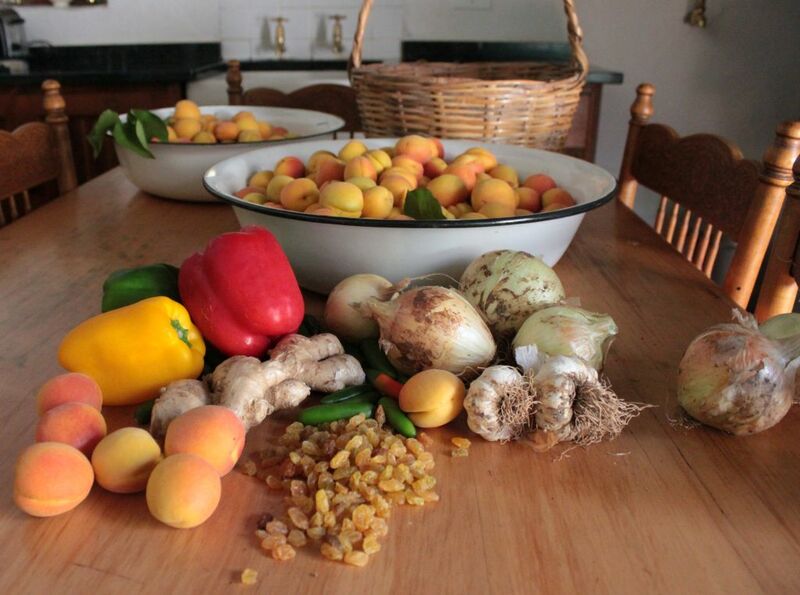 On Sunday morning we got up early to harvest the cool fruit before preparing the kitchen for cooking the chutney. 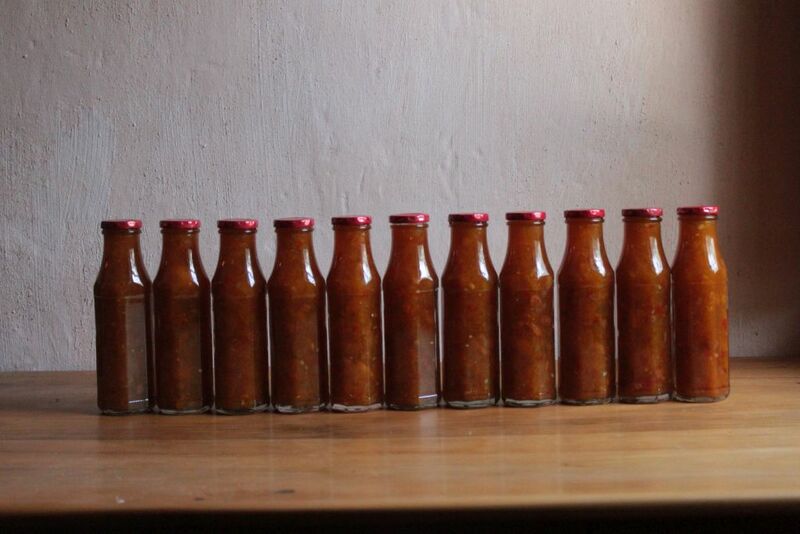 We decided to make two batches, using a ‘100 apricot traditional chutney recipe’. With my tendency of not sticking to a recipe, I decided to use the recipe as a point of departure and to add my own flavours. 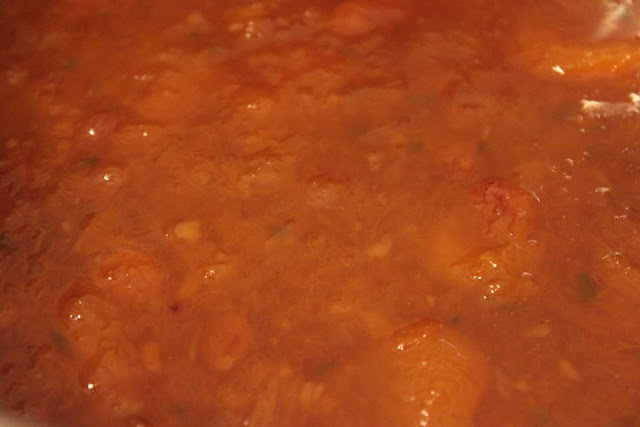 This would make it an authentic Towerwater apricot chutney. I decided to add sultanas, ginger, fresh chillies and bell-peppers. The new season organic onions and garlic from the garden ensured that it was going to be a true Towerwater creation. One pot had added chillies to make it a more spicy chutney, while the other had more ginger to make it a ginger and apricot chutney. 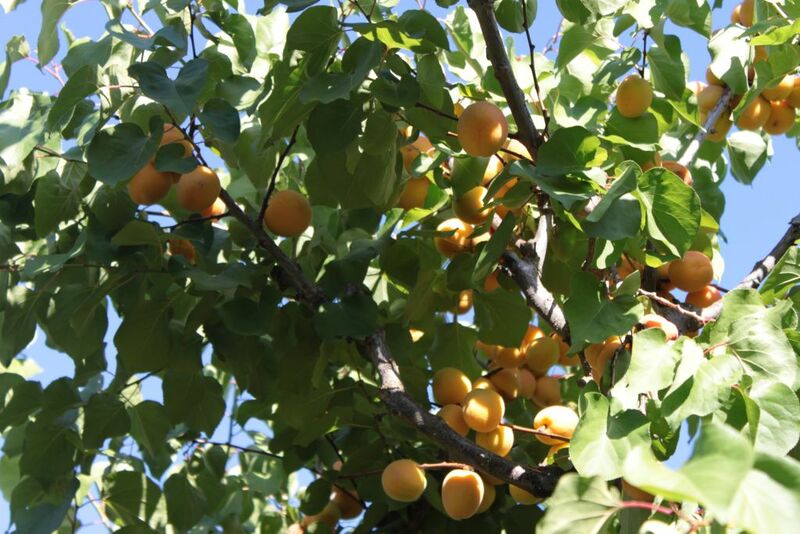 As with most organic fruit and vegetables, the apricots did not escape the fruit-flies. 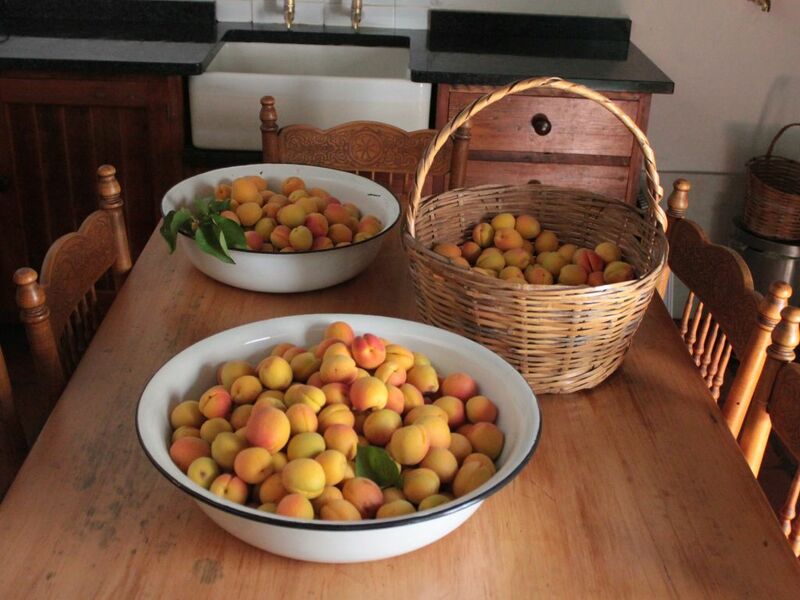 But we managed to salvage more than the required 200 apricots. 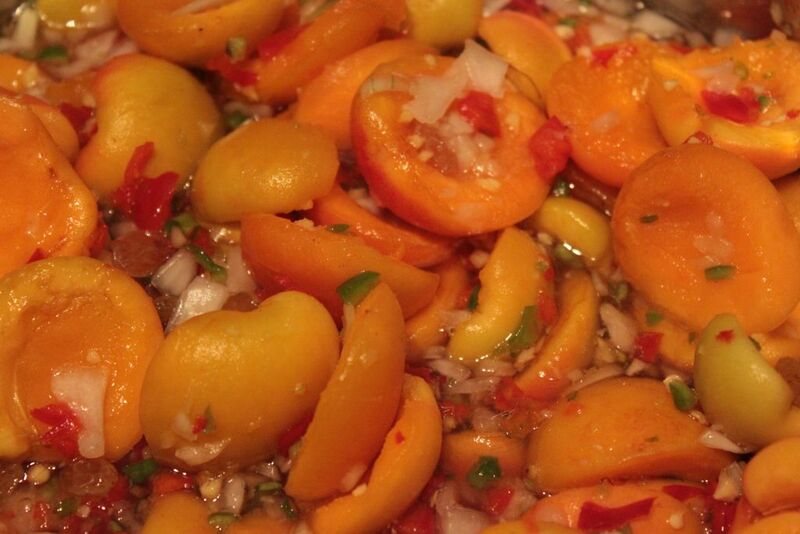 It left us with delicious fresh apricots to enjoy while stirring the fruity and spicy deliciousness in the pots. 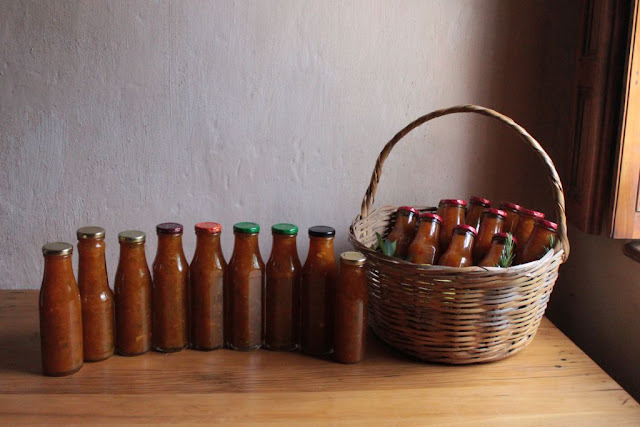 We managed to bottle 21 bottles of chutney. Proof of the chutney will be in the eating, and we can’t wait. I will have to start working on some innovative and traditional recipes that will incorporate this bright orange condiment. It is a condiment that captures a summers day in the orchard. 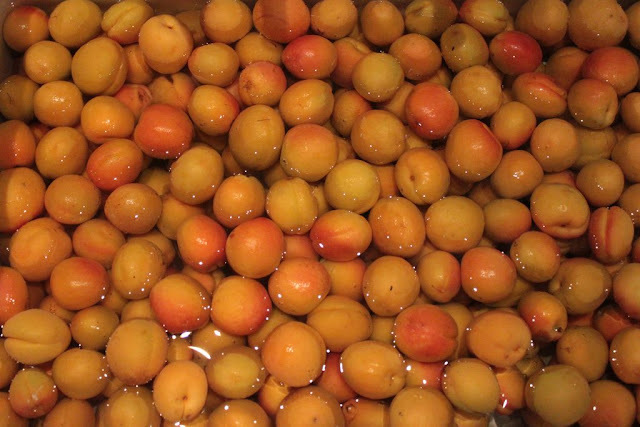 Halve the 100 apricots into a large jam cook pot. Add the chopped onion, garlic, bell-peppers, chillies and ginger. 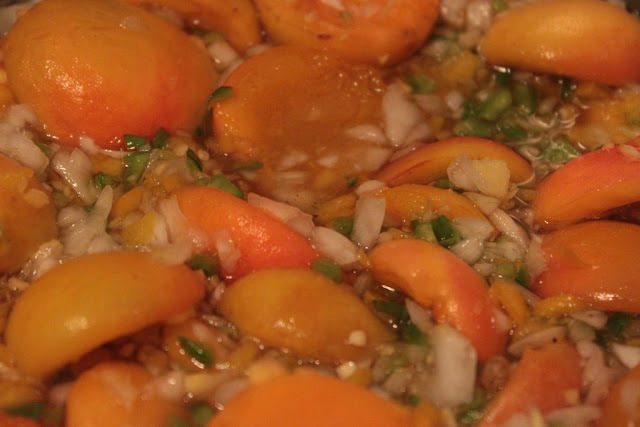 Add the sultanas, sugar, salt and spices to the apricots and cook in the vinegar mixture for 30 minutes to 1 hour until the mixture is thick enough. Stir occasionally to prevent burning. Pour the mixture into hot, sterilised dry jars and seal immediately. Apart from the pot itself, do not allow metal to come into contact with the chutney while cooking or when storing. Chutney is another one of those traditional essentials in old Cape recipes. All the better for being almost entirely home grown. Well done. Definitely going to try your recipe sometime. Sounds and looks delicious!